We are days away from moving our booth into Cal Expo for a long weekend of trade show life! The International Sportsmen’s Expo opens in Sacramento on Thursday the 19th and runs through Sunday the 22nd and if you are interested in attending an outdoor sportsmen’s show with all kinds of awesome exhibits, demonstrations and activities. Make some plans to attend this show and make it a family outing! It is the largest Outdoor Sports Show in Northern California, so I personally think it’s not one to miss! I guarantee you will find something that interests you at this expo and more importantly your kiddos too! 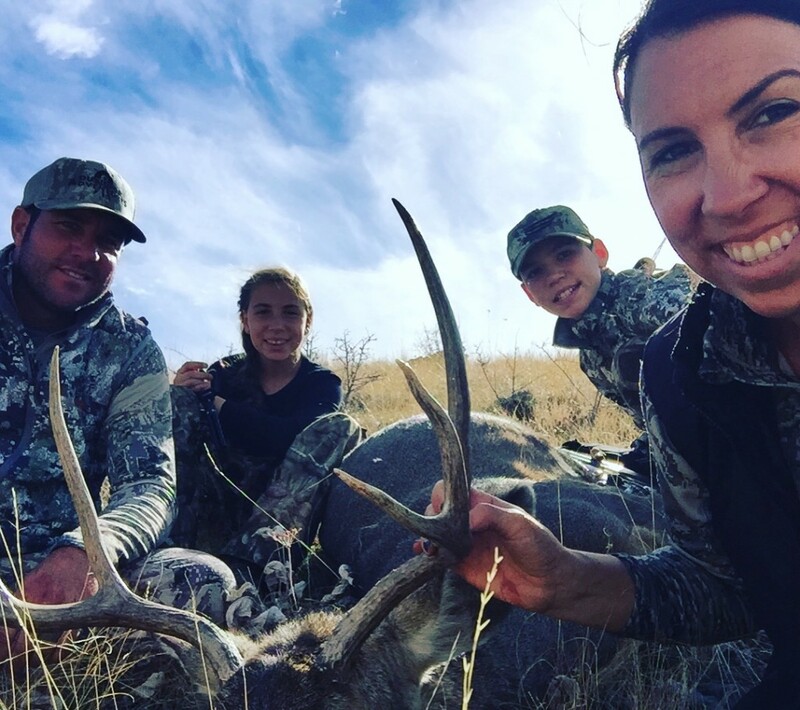 One of the biggest concerns of parents wanting to get their kids interested in hunting, fishing or any other outdoor activity is that they have no clue where to begin! Well, ISE is the answer! Events like this are a great way to introduce your kids to all the adventures that nature has to offer and exploring a multi-faceted show like ISE will help you pinpoint what exactly interests your kids about the outdoors most! But a show this big, makes for a long day especially with the littles in tow. So I wanted to share with you some tips, to help you make the most of your time at the Expo and make sure everyone leaves happy and inspired and to start planning your family’s next Outdoor Adventure! Purchase your tickets on-line! No sense in waiting in line the minute you arrive! Avoid the wait lines of buying tickets at the gate and you’ll already be one step ahead of evading a wait line meltdown! Click here and get it done in seconds! Remember the parking fee is separate! So be sure to bring cash to pay for parking. Make a rough game plan! You can even download and print the show program! While you are on the website buying your tickets, you might as well make a small plan of attack, even if its just in your head. Review the schedule of events! I’ve linked it here. Check out the seminar schedule (if you want to listen to cool speakers like me) and plan to attend on a day that you feel you’ll get the most out of! Print a map of the show floor. So many people don’t ever realize that this show consists of lots of buildings! You don’t want to overlook an area! **Side note – Every year, I have parents come up to our booth the opening day of the show, disappointed that the Youth Fair isn’t open! Make sure you note that the Outdoor Youth Fair and Kids Activity Area does not open until 3pm on Friday of the show! Dress in layers! It may be raining outside and you’ll want your rain coat for moving from building to building. Once under roof however, the temperature inside the buildings can be from one extreme to the next. Example, the show floor in the fly fishing building can be the perfect temp, but once you make it up stairs in the hunting building it can feel like you just stepped into a sauna! So make sure you and the kids are dressed in layers and be prepared to add and remove them as you travel through the buildings. Wear comfortable shoes and don’t forget the stroller or the soccer wagon! You will do a lot of walking and sometimes the little kids just can’t do it all day long! Plus it helps to pack out all the stuff you accumulate throughout the day! Pack a snack bag! Of course there are several really good food vendors at the show, but little snacks can help keep the kids content before and after lunch! Grab a bag at the entrance! You will want it to put all the informational materials you gather from vendors. Youth Outdoor Fair! Plan to spend some time in the youth outdoor fair area. There are a ton of activities for the kids! Don’t be afraid to stop and talk to exhibitors and ask questions! Even if they are not exhibiting something you may be interested in. These are some of the best folks in the industry and they are more than willing to help you learn or offer advice on hunting, fishing or other outdoor opportunities. Attend a seminar! You can win free stuff and learn some tips from the industry’s top professionals! My seminar schedule is below…just in case you might be visiting the ISE on those days! I’d love to have you in the seats!! Let the kids have fun, but make sure you are talking and discussing things with them as you move throughout the show. At the end of the day, ask them if there was something they want to look at again or something that they wanted to see and didn’t get a chance. Pull out those bags! Sit down as a family and look through all the information that you picked up from the show. Talk and discuss things together and follow up on things that interested you and the kids! Get Outdoors and enjoy an adventure as a family!! I hope that you all find the time to make it to the ISE Show this year! I know it’s going to be as awesome as ever! I’d love to giveaway some tickets for the show, so let’s do a little social media push! If you are on Facebook, share this blog post on your page! You can do that by clicking the little F button that pops out on the left of your screen or by copying the url in your facebook post. If you have Instagram, I’d love for you to post a photo of your favorite outdoor family adventure and include the hashtag #livelongintheoutdoors in your post! You can post as many great pics as you want, but be sure to include why you love the pic! Let’s try to inspire as many families as we can to get in touch with nature and live long in the outdoors together! Do both and you’ll have even better odds of winning! I’ll randomly choose a couple sharers, to win some tickets!!! I’ll post winners on Tuesday evening!!! Get to sharing and I’ll see you all the ISE Show next week!